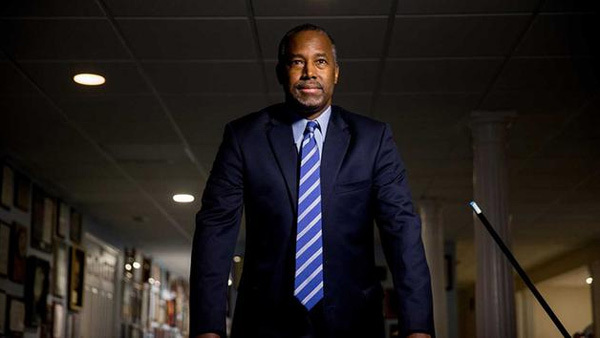 WASHINGTON -- Republican presidential candidate Ben Carson is effectively ending his campaign after a poor finish across the Super Tuesday primaries. Carson says in a statement Wednesday that he sees "no path forward" to the nomination and says he will not attend Thursday's GOP debate in Michigan. Armstrong Williams, Carson's longtime business manager, tells the Associated Press it's "just the reality" that "there's only one candidate in this 2016 election on the GOP side, and his name is (Donald) Trump." Williams adds that Sens. Marco Rubio and Ted Cruz also "have no path" and should drop out. Another Carson aide, Larry Ross, said Carson will offer "more details" when he speaks Friday at the CPAC gathering, an annual conservative confab.